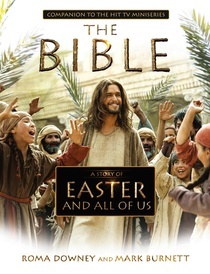 In this book, “A Story of Easter and All of Us”, Roma Downey and Mark Burnett bring us the companion to the hit TV miniseries, “The Bible”. Written in flowing easy to understand language. The detailed writing will draw readers into the story of the last days of the ministry of Jesus and the miracle of His resurrection. Extraordinary photography fills the pages of this wonderful book. The ultimate Easter gift for your special loved one this year. From the Last Supper in the upper room to the celebration of finding an empty tomb, this beautiful full color book chronicles the journey of Christ’s death and resurrection in a way the Easter story has never before been “told.” Containing extraordinary images from the Emmy-nominated TV series watched by over 100 million people, The Bible, A STORY OF EASTER AND ALL OF US is a book that will take a deserved place among the finest celebrations of Easter. Roma Downey – A multiple Golden Globe and Emmy nominated actress, Roma starred for almost a decade as the angel “Monica” in the hit CBS television series, Touched By An Angel. She is also producer of the children’s DVD and book series “Little Angels” and its companion Little Angels Storybook Bible. Mark Burnett – Multiple Emmy Award winning producer of some of the biggest prime time network television shows in history including Survivor, The Apprentice, Shark Tank and The Voice. Has produced over 2,000 hours of American prime time programming airing in over 70 countries. Want to keep up with all things Hachette Book Group ? You can like em on Facebook and follow em on Twitter. Ready to buy? Head on over to Hachette Book Group and get ya some of these fabulous Christian Books. I received a copy for review. Since I have decided to switch over to eating organic I have noticed that foods taste so much better. I suppose it is because there are no chemical residues marring the natural flavor of the foods. I was recently given the opportunity to try some organic seasoning blends from Frontier Natural Products Co-op, and organic vanilla from Simply Organic. I received three styles of seafood seasoning for review and a bottle of one of the best tasting vanillas I have ever tried. Let me tell y’all about them. 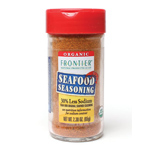 First thing I noticed and I love is that the seafood seasonings come in glass bottles. Lids have both shaker side and spoon side as well as the option of simply removing the lid if you are in need of a large quantity of spice. We tried all three flavors on grilled shrimp. These seasonings are fabulous. 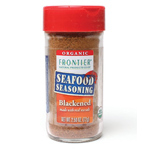 Anyone can master the art of seasoning fish perfectly with Frontiers Natural Products seafood seasoning. Original has beautifully balanced taste. Low sodium has so much flavor that you will never miss the extra salt. Blackened has a slight bite. All three types tasted amazing on our fresh wild caught shrimp. We even tried the original and blackened on some grilled zucchini and were delighted with the results. Check out the ingredient lists below. Notice you can pronounce all of the ingredients. I was once told if you can’t pronounce it, don’t put it in your body. I think this is a good rule to live by. 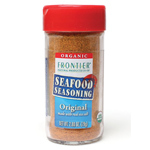 Make a “splash” with Simply Organic® Seafood Seasoning; one bite and you’ll be hooked. Ingredients: Sea Salt, Organic Paprika, Organic Celery Seed, Organic Black Pepper, Organic Mustard, Organic Cayenne, Silicon Dioxide, Organic Bay Leaf, Organic Ginger, Organic Cinnamon, Organic Mace, Organic Cloves, Organic Allspice, Organic Cardamom. Ingredients: Sea Salt, Organic Paprika, Organic Celery Seed, Organic Cane Sugar, Organic Caramel Color, Organic Cayenne, Organic Black Pepper, Organic Mustard, Organic Bay Leaf, Silicon Dioxide, Organic Oregano, Organic Ginger, Organic Cinnamon, Organic Mace, Organic Cloves, Organic Allspice, Organic Cardamom. Ingredients: Organic Paprika, Sea Salt, Organic Celery Seed, Organic Black Pepper, Organic Mustard, Organic Cayenne, Silicon Dioxide, Organic Bay Leaf, Organic Ginger, Organic Cinnamon, Organic Mace, Organic Cloves, Organic Allspice, Organic Cardamom. This gem is from Simply Organic. Upon opening this glass bottle one’s nose is greeted by a delightful aroma. Smells like the moment you open a really good vanilla bean. Sweet and delicious, vanilla in it’s most decadent form. 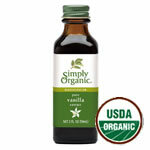 Simply Organic Madagascar pure Vanilla extract is the perfect addition to your treasured family recipes. This extra-rich and creamy vanilla is perfect for baking and bears social benefits that make it all the more sweet. Our extract is made using the highest quality, Bourbon vanilla beans from Madagascar. Ingredients: Organic vanilla bean extractives in water, organic alcohol. Want to keep up with all things Frontier Coop and Simply Organic-? 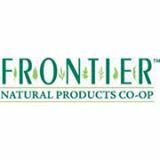 You can like Frontier Coop on Facebook and follow on Twitter. 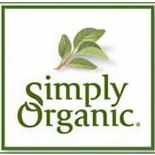 You can find Simply Organic’s Facebook and Twitter here. Ready to buy? Head on over to Frontier Coop and Simply Organic and get ya some of these fabulous products. The heat in Central Texas can reek havoc on plants during the summer. Earthbox has a super easy way to keep your plants well watered while allowing maximum gardening in even small areas. I received an EarthBox® Junior™ Garden Kit in Margarita for review. Let’s check it out. 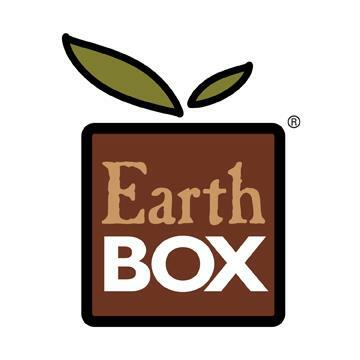 I am a huge fan of the EarthBox. I started using the Original EarthBox last year to grow peppers. It did an amazing job. I was able to grow 6 different types of peppers in a very small space on my back porch. They grew all summer long with no issues of distress from the sun. I was actually still getting peppers this past November. Neighbors were all like WOW. How is that possible. It’s an Earthbox is all I can say. 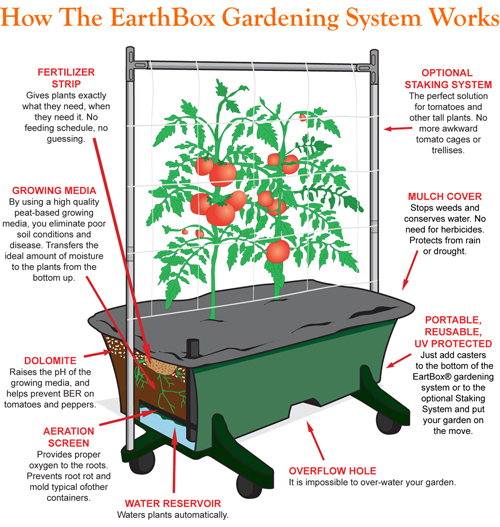 EarthBox is designed to maximize watering potential so plants grow large and healthy. You can see the details of how it waters from underneath the plants in the pic of the Original EarthBox with casters and trellis added at the left. The EarthBox Junior is the very similar to the Original EarthBox. It is simply a smaller version. Perfect size for growing herbs or even a salad garden right in your kitchen. Available in numerous colors these sturdy planters make wonderful gifts for garden enthusiasts and foodies alike. You can go to EarthBox’s website to see a planting guide to give you some ideas of what you can do with your EarthBox. There is even an organic kit for those that prefer an organic lifestyle. This compact-sized EarthBox® Junior™ gardening system is just like the original EarthBox® gardening system with the same smart technology, but approximately half the size and specifically designed for smaller spaces and indoor gardening. Junior™ is the perfect size for growing a kitchen herb garden and is ideal as a pretty window box with flowers. Good things really do come in small packages! NOW AVAILABLE IN 7 COLORS! Choose from: Green, Terracotta, White, Chocolate, Eggplant, Margarita, or Cobalt. Includes: 1 Jr. EarthBox® container with integrated overflow drain, 1 Junior™ Aeration Screen, 1 Junior™ Water Fill Tube, 2 B/W Reversible Junior™ Mulch Covers, 4″ Overflow Saucer, 8 oz. Dolomite, and 8 oz. 7-7-7 Fertilizer. Measures 23″ L x 7 ¼” W/D x 9 ½” H. Holds 1 cu. ft. of growing media. Reservoir holds 1.15 gallons of water. Please note that casters and the EarthBox® Automatic Watering System (AWS) will not work with this product. Each Junior™ EarthBox® gardening system includes our One-Year Satisfaction Guarantee. Want to keep up with all things EarthBox? You can like em on Facebook and follow em on Twitter. Ready to buy? Head on over to EarthBox and get ya some of these great gardening kits.